Beyond-Bedding: Create a Beyond Bedding Account! 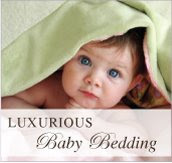 Set up your personal account on Beyond-Bedding.com to become an official member. The 'My Account' feature will make your shopping experience easy and stress free! Gift Registry - Easily create, manage and update your gift registry to share with friends and family. Wish List - See something you like, but aren't quite ready to purchase? Add all your favorite items to your personal wish list. Simply go back to make edits, sort through and add to cart when you're ready. Order History - No more guessing as to when that package is going to arrive! Just sign into your account to view and track orders online. Easy Checkout - Store your information with the secure checkout feature. No more searching for your credit card or typing in tedious information. This feature makes ordering online fast, simple and secure! Click JOIN to sign up for your personal Beyond-Bedding account!